Monday, Tuesday, Wednesday and Thursday…. continued! Glenwood Springs is known for its Hot Springs. These mineral rich waters have existed for thousands of years and since the late 1800’s been diverted into two huge pools that have attracted visitors ever since. It is easy to tell when one is near the Hot Springs; the rotten egged sulfur smell permeates the air for about 4 city blocks. Every teenager within 100 miles wants to hang out at the Hot Springs and Alex is no exception. In the past I have gone with Alex, mostly because we can never get anyone to go with us, but also because it is huge, with lots and lots of people and I am a bit nervous leaving Alex in a place where she can easily become anonymous. Basically, I will not break my golden rule and do not trust the Hot Springs a safe place for my extraordinary daughter. With Sarah along however, I did break my rule. Just like other mom’s dropping their teenagers off at the Hot Springs, so did John drop off our girls. Alex had her period and is very good with all the girlie stuff, but will not wear a tampon unless she really has to. Alex does not like the feeling of the tampon and has difficulty inserting it in you know where. In the past I have had to help her....huge yuck….but with Sarah around Alex insisted she could do it herself. I believe in peer pressure and Alex’s sudden ability to mature. But, I wonder with Sarah gone, has this maturity left too? Two hours later I arrived at the Hot Springs to pick-up the girls. They had been told to be ready by 4:00 and they were. I am sure the promptness had to do with Sarah, but part of me was very very pleased. Alex and her best friend Sarah and been dropped off and picked up at a local hang-out, I had not gone with them, and they were safe. Then I began to silently cry, Alex needs more friends like Sarah where we live, why haven’t we been able to help her create these friendships? It was a brief glimpse of what life should be like for Alex, not what life is really like for Alex. I felt guilty and irresponsible. Isn't that part of my job as the parent of this magical person? 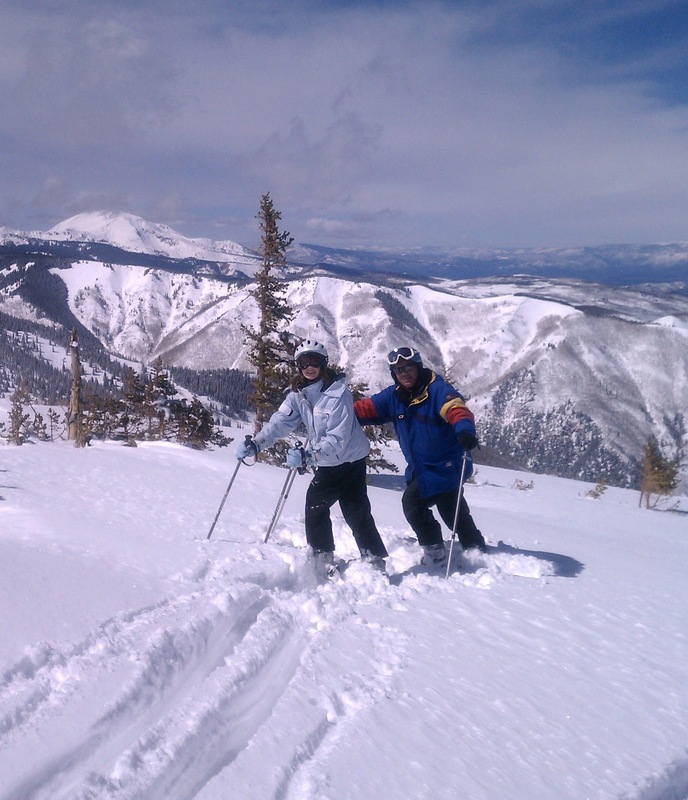 Every visitor to our beautiful valley must ski. It is expensive, difficult for beginners and can be extremely unpleasant in nasty weather, but it is still a must do. Sarah, Alex and I checked the weather and determined Tuesday would be the ideal ski day and man were we right. Tuesday was one of those perfect spring skiing days. The mountain had received 22 inches of new snow the previous two days, the sun was shining and the thermostat approaching 25 degrees, these are the days I want to ski and spend as much time outdoors as possible. 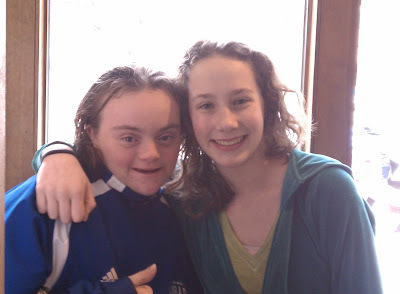 Alex requested we get a ski buddy from Challenge Aspen for her, and then meet for lunch. I was curious about this, as Alex is a good skier and could certainly keep up with Sarah, who hadn’t skied in a year. I believe Alex likes the one on one, the attention she gets from her buddy and the confidence she gains from the praise. 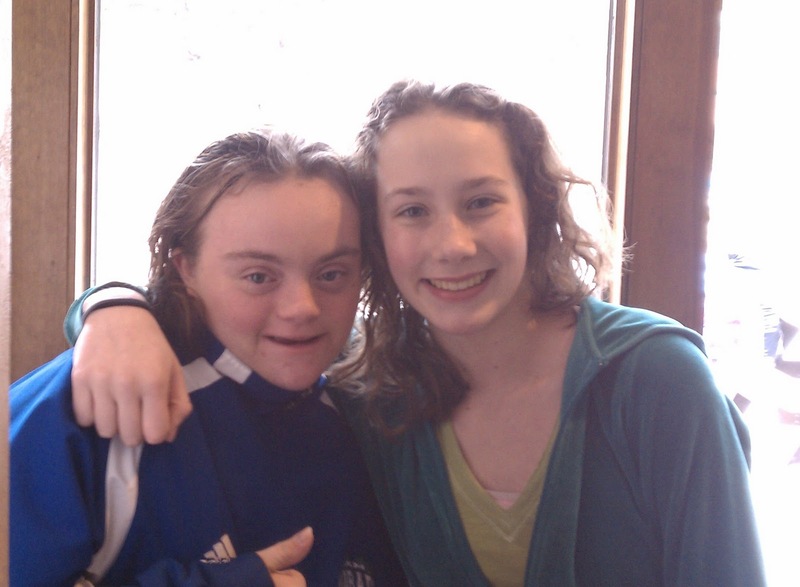 Given Alex’s growing awareness that her friend Sarah has grown, I honored Alex’s request. The mountain delivered, the weather cooperated and the skiing unbelievable. Although we teased Sarah that she did not have her sea legs, she did well, screaming in delight (or fear) as she zoomed down the runs. John was able to give her some pointers and by the end of the day she seemed comfortable, confident and tired. Mission accomplished. As planned, we met for lunch at one of the mountain restaurants, which happens to be the one where my ski bum niece works. It is always good food, good service, good discounts, and as it turned out excellent company. We discovered as we sat down a famous face at the next table with his family, and this famous face happens to be who Alex wants to be when she grows up; a Rock Star. Over lunch we snuck looks at the table, but I believe we were not too obvious. There are many celebrities who vacation in the Aspen area, so it is not too unusual to see famous people, but a rock star next to my wanna be rock star is too hard to ignore. Never one to miss an opportunity John approached the Rock Star as he was about to leave, handed him my blog card and mentioned his daughter with down syndrome wanted to follow in his footsteps. This very gracious rock star came over to our table, identified Alex and said his name was Jon and he has heard about her. Alex blushed, Sarah gaped and I was astonished. Jon Bon Jovi has the most beautiful blue eyes I have ever seen. I have been checking my blog stats everyday – but no new viewers from New Jersey yet. I still have hope! 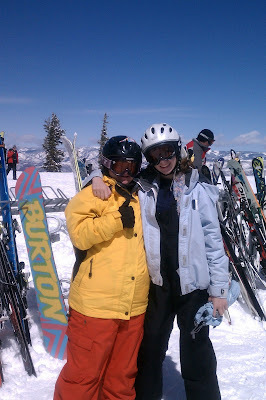 Skiing was a highlight of our week and I think Sarah will remember Bon Jovi for a long time. Alex too was impressed, but in her world the only true rock star is one who lets her sing in his band. I have failed at finding her friends, how the heck am I going to get her rock star friends? I'm following this storyline closely. I so relate!